All children at Newsham Primary School experience a range of Physical Education and sport activities both as part of the school’s curriculum and through extra-curricular activities. In Foundation Stage children have opportunities to develop good control and co-ordination in large and small movements through a range of indoor and outdoor activities. They learn to move confidently in a range of ways and safely negotiate space through structured and unstructured play. Our extensive outdoor area allows the children to challenge themselves physically through the use of a range of apparatus and equipment such as bikes, climbing equipment and balancing apparatus. On a weekly basis all children also take part in a more structured PE lesson. Reception class children have access to other play equipment on the main school yard during lunchtimes. Children in Key Stages 1 and 2 have a 1 hour weekly PE lesson. These lessons generally follow the Val Sabin detailed schemes of work for Games, Dance, Gymnastics and Athletics. 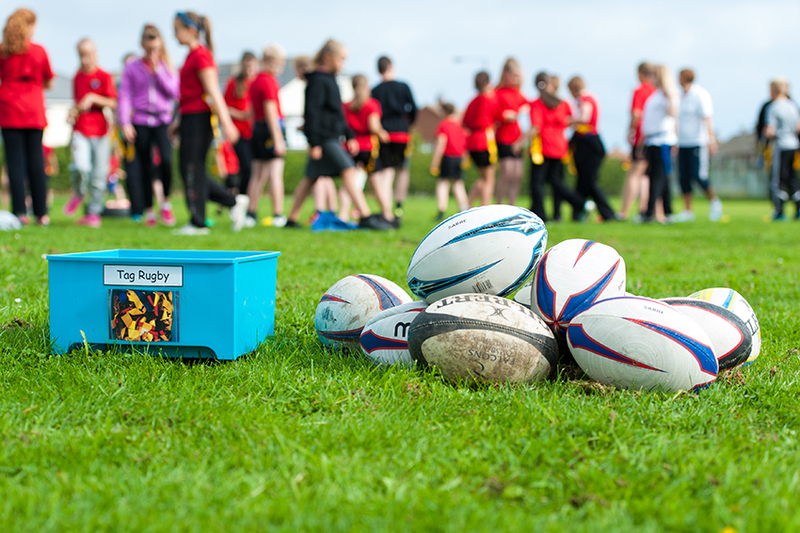 Wherever possible PE lessons take place outdoors in our extensive grounds. We are visited by a specialist PE teacher from the Schools Sports Partnership on a weekly basis; this visitor leads and demonstrates lessons and supports school staff in developing PE teaching. Areas led by these visitors include netball, hockey, tag rugby, tennis and multi sports. Through buying into the School Sports Partnership all of our KS1 and 2 pupils take part in a range of inter school competitions and festivals throughout the school year including an annual multi skills tournament, tag rugby tournament, new age bowling tournament, hockey, gymnastics, netball, Northumberland Games and athletics. Many of these events are hosted in the more specialist environment. Annually, Newsham Primary achieves many successes in these events. Our annual Sports Days are very popular and well attended by a huge number of parents. All children, from nursery to Year 6 take part in a wide range of competitive athletic events. Pupils in KS2 take part in at least 6 weekly one hour swimming lessons. We feel that this is particularly important due to our location. We have recently invested in developing our playtimes to raise levels of activity. Through Northumberland County Council Play Rangers we have trained a group of children to become Junior Play Leaders. These children lead and encourage other children to play a range of games at playtimes. The addition of more accessible outdoor storage space and sports equipment has increased the amount of physical activity and sport taking place during playtimes and lunchtimes. Future developments include the deployment of a specialist Teaching Assistant to lead more active playtimes and coordinate our Junior Playleaders.